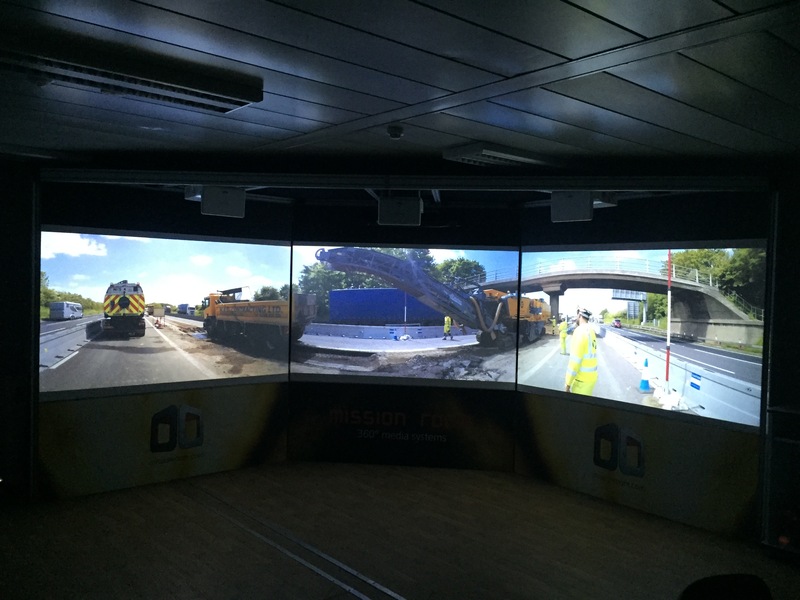 Mission Room is an innovative and unique training and awareness experience with an award winning and proven track record in the Rail industry. Mission Room brings the workplace into the training room, giving everyone the same big picture, and providing safe and instant access to complex and hazardous environments. The products provide the perfect bridge between theoretical, sterile classroom training and the real hazards that exist on working sites, instantly placing trainees in the middle of real sites without the safety and logistical issues involved in the workplace. The feeling of immersion makes training interesting and effective as ‘classroom switch off’ is no longer an option. The content can be customised to include real sites that trainees can recognise and identify with easily. Images are captured using purpose built 360 camera technology to any level of detail required, and the media produced in a range of display system options. The Mission Room allows safe, rapid and easy navigation around complex sites and situations in a safe, repeatable and scalable way for virtual tours, training, briefing, planning and design, with BIM and CAD model integration available.